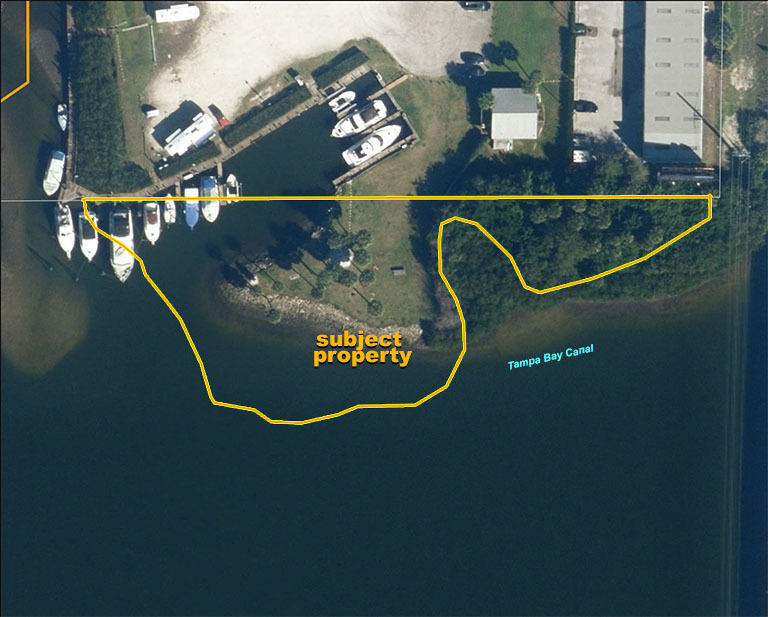 The subject property contains 1.18 +/- acres and is irregular in shape that can be accessed by boat only. Approximately 0.43 acre is reported to be within the Tampa Bypass Canal and contains submerge lands. The remaining 0.75 acre consists of approximately 0.20 acres of usable uplands and 0.54 acres of probable wetlands. The Tampa Bypass Canal (TBC) is a 14-mile waterway that connects the Lower Hillsborough Wilderness Preserve with McKay Bay. The canal provides flood protection for the cities of Temple Terrace and Tampa by diverting floodwaters from the Hillsborough River. The canal is also a water supply source for the city of Tampa. As a result, plants and animals that live on these lands are also protected and the public can enjoy recreational and educational activities in the great outdoors. Driving Directions: Take Selmon Expressway to US 41, go south on US 41 to canal.